At first glance, this may look like a simple pinstripe shirt, but it's so much more. 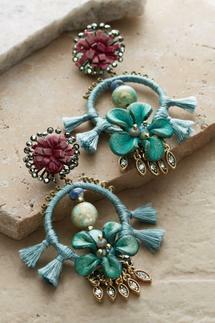 Floral embroidery in soft chenille yarns add texture and bold color to the back and sleeves. Front patch pockets; curved shirt-tail hem.